AUSTIN, TEXAS November 6, 2017 – SpareFoot, the largest marketplace for storage, has been awarded a 2017 Top Workplaces honor by The Austin American-Statesman in 2017 for the fifth year in a row. The company is listed as the 11th Top-Rated Small Employer in Austin out of the 55 included in this year’s list. SpareFoot was also named a Top Large Company Culture by Entrepreneur Magazine in 2017. The company offers fully paid health insurance for employees and their families, daily lunch provided by a full-time chef and culinary team, a flexible vacation policy, volunteer opportunities — both onsite and in the community, regular fun events and celebrations, and much more. In 2017, SpareFoot joined just six percent of worksites across Texas designated a Silver Mother-Friendly Worksite. Silver requirements include offering part-time work or working from home and creating a private room with a locking door for breastfeeding employees that includes a sink and refrigerator. SpareFoot is a great place to work and a great place to play, as well. The company was the gold medal winner in the Austin Startup Games for four out of the last five years. For more information about life at SpareFoot and current job opportunities, check out the Jobs page. SpareFoot.com is the largest marketplace for storage, making it easier to move and store your stuff. The SpareFoot website lets you find and compare the best storage deals near you, and instantly rent online or by phone for free. With the most up-to-date information on storage available, SpareFoot makes finding your stuff a home the easiest thing to cross off your to-do list. 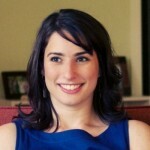 Jodi is a writer and editor at SpareFoot with a particular interest in topics around organization and moving. When not creating content for the world's largest storage marketplace, she enjoys spending time with her husband and young daughters. 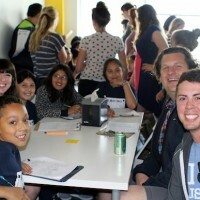 Fourth-Graders Face Tough Test: Where at SpareFoot Would You Want to Work? 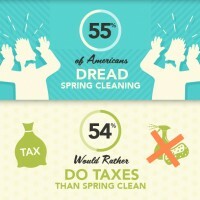 Do You Dread Spring Cleaning? You’re Not Alone!